The last day of the season looks like it will another overcast day, very little breeze, with the odd spot of rain. The river remains at a decent height. 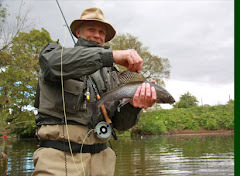 The river remains at a good height and the weather is overcast and dry with very little breeze. Looks like it's going to be a very nice day, not ideal for fishing but only a few days left of the season so make the most of it. Gloomy, cloudy skies but the river conditions are still good. River levels are still low and the weather is dry and overcast. The river is still running at a lower level and the weather is dry. It's raining at the moment and it is also quite windy, but this rain has not affected the river level, which is still quite low. 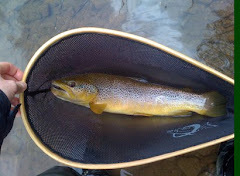 The river conditions are good and the weather is dry and sunny. Quite easy to do this at the moment, same everyday. Still overcast and river lower than norm but good. Not long left, go go go !! The river is still at a reasonable level and the weather is good. 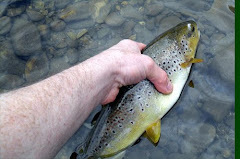 The weather is overcast and dry and the river conditions are still good. The river is still running slightly lower than normal and the weather is breezier than yesterday with a bit of light drizzle. The weather is dry and overcast and the river is at a reasonable level. No change from yesterday, river conditions are still good and the weather is dry and overcast. As you would expect the river level is dropping because it hasn't rained for a week or so thank god, but still a good level. Another sunny warm day, river still at a good level. Another cool start this morning with clear skies all around and the Eden is still running at a nice height. Today looks set to be as good as yesterday, a chilly start but another promise of sunshine and the river is running well. The river has a bit more water in it today following yesterdays rain, so is at a better height. The weather is off to a good, sunny start. The river is looking really good this morning, as is the weather. The Eden is running at a good height and the weather is dry and overcast. 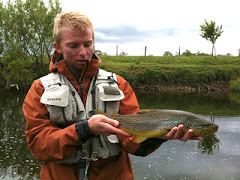 The water level is now dropping and the Eden will be fishable in areas upstream of the main tributaries. The Eden has still not dropped down to a normal level and is currently up and coloured. The weather is wet and breezy. Lots or rain yesterday brought the river back up last night and it is still high and coloured. You will have to go to work ! !